was a good month. I managed to calm down my hamstring tear and keep running. I did 120 miles this month guys!!! I did very little speed but I am now trying to get back on it. For example, yesterday we did a crazy hard workout (I am still wiped out! ): 4x400s, 1×1600, and 4x400s. It was GREAT. Earlier on the month, I raced the 5th Avenue Mile (and here are all the pros pictures) to see where I was after 6 weeks of BLAH, and I came up with a 6:24 which wasn’t so shabby given how long I was benched. I did decide to skip my goal half marathon race and post pone it to next weekend Staten Island half… we will see. I don’t think it’ll be spectacular, but I am ready to give it a try and be done racing for 2015!! Early September too, Juan and I celebrated our 2nd year anniversary with a trip to DC, and we run a lot there, and we ATE a lot there too. Fun times!! and yesterday I put some pictures up about my run to the Bronx this weekend and then cheering at the NYRR Bronx 10 miler. All fun. See? a really FUN month. Which is pretty much all you need coming back from a furious hamstring battle. 10 days now to Staten Island half and I hoping I will feel like taking a break after that. But who knows. Well, August was rough for me guys. rough. Rough. By then (next week), it’ll be 7 weeks of no speed… and one week to go to the half. The goal half is obviously out the window but maybe I can catch back up to do the Staten Island Half. So, I will decide a bit closer but it seems like I basically threw all my training down the toilet in the last month. Too early to make the call. Trying really hard not to. July!! Summer is here!!! And then the excitement fizzled, or burnt up, I’d say, fast! It was lovely and HOT. And I got some quality training done, all described here if you’re extra curious. I did exactly 20 runs, 6 of those were intervals, there was 1 tempo run, and the rest was easy running. 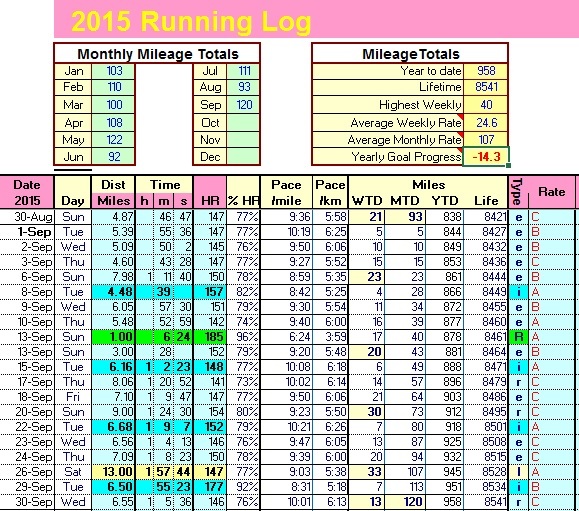 I decided not to race anything as I had done 6 races in June and I need to regroup the training! I am doing the Newport Half Marathon in September and there’s just 7 weeks left! No need to freak out, it’s going fantastic, but just gotta have patience and keep training. I have settled on a very comfortable running routine, with no long runs and I am loving it. Really really loving it. This is SO different from last year’s June when I was sick of running and gave it all up for a few months, huh? Other exciting July things: IronJuan did his first triathlon in over 3 years, the NYC Tri and he did fantastic!! Total Miles 110. So, we came back from vacation straight to a race-every-weekend ritual. But now I am a MASTER runner!!!!!! YEY. I was doing speedwork on Tuesdays, easy Wednesday and Thursday, and race the weekend away. The first one was the Scotland 10K, still no PRs but I was one minute away!! 45:32 (7:20 pace). The next weekend I did the Run for the Parks 4 Miler, 7:03 pace (28:12) and close to my 28:00 PR! Then, one week later, I paced the NYRR More Half Marathon, the 1:45 group, such a cool (and nerve-wrecking for me!) responsibility!! The day after that, I got up at 5 am to go spectate the Boston Marathon, we were quite wet. And the same week, I saw Meb again at a talk, here’s a lot of what he said. That same weekend, another race: one more 4 miler, the Run as One! So, 7:02 pace, 28:06… getting close to a PR… after TWO years!!!!! Total Miles: 108. One day in: snow and a 5K! The Washington Heights 5K is usually brutal but managed an “okay” 22:42 given the course, plus 6 miles after, which is a feat on its own. A few days later we still have a massive snowstorm but Daphne and I run 10 miles in, gorgeous pictures of the park and all in the post. Then the osomest happened, the NYC Half!! My GPS was not charged and I had one of the most shocking and amazing races ever. 1:39, not a PR but faster than the 1:45 I expected! Plus amazing fun and pictures. A few days later, while my legs were still so sore, we went to Turks and Caicos for my 40th birthday, and we run VERY little there! Total Miles: 100. February was the turnaround of the last (almost) two years of lulling around. I did 110 miles. I did speedwork every week, and I did my drills every week. I did 800s and 400s as well as a few hard tempos. I did race, a 4 Miler that was a hot mess: I didn’t dress properly and was overheating and I really had no intention to push. A complete real hot mess. But oh well. There’s no 100% perfect month, right? The best thing: I gave up on my guaranteed entry to the NYC Marathon and committed to a Half PR, there I said it, in 2015. It’ll happen in the fall, but the training has started and NYC Half and Brooklyn will be first. It needs to get done. 1:37:35, you’re going down. Total Miles: 110.
at least one session of plyometrics a week. So far, so good. I am so happy that I was able to push through this (ROUGH) winter. Plus, we did a very cold but wonderful run through the Rockefeller State Park Preserve. Total Miles: 103. ← Fun weekend: Bronx X 2! Any advice would be great! I would really love to get to the start line feeling prepared and ready to achieve my goals. 3 weeks?? that’s insane!!! read this and lmk if you want t see my physical therapist, ok?? http://runningandthecity.com/2010/04/27/the-last-marathon-notes-i-promise/ you’ll be fine in a few days, don’t worry!!! I feel you about your hamstring – mine started bothering me back in May and not even 6 weeks off+plenty of PT have solved the problem for me! Those chronic injuries are the.worst.I’m currently taped and that is helping a bit. yeah, it’s tough mentally when you have a goal for a whole year and then it just bursts in your face. I need a break. I probably won’t stop running but maybe 15 miles a week for a month or two and then I’ll ramp back up, good as new. how’s the foot??? why?? what’s going on with it???? Don’t know. It’s been going on since May and I’ve been going to the PT for the past few months, yet neither that nor 6 weeks off have been too much help. It doesn’t prevent me from running (it doesn’t hurt when I run), but it feels very tight afterwards. we should check your form babe! Love reading your blog. But it makes me miss you even moreeeeee!